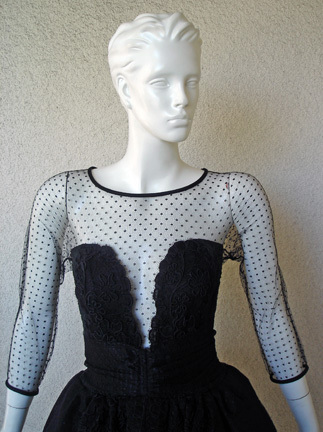 Circa early 90's Christian Lacroix black lace mini pouf dress featuring dotted swiss sheer bodice extending into a stiff full lace skirt. 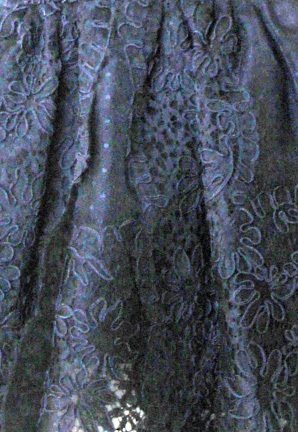 Lace appliques on back and also includes belt. 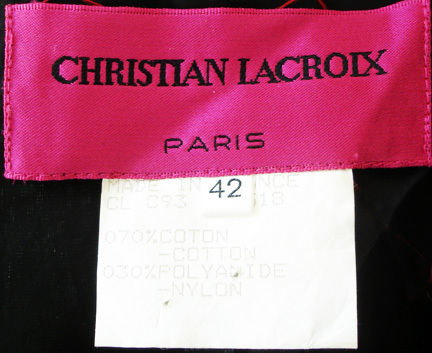 A rare iconic Lacroix creation featuring his signature pouf style.